Happy Friday! Remember that Mar, Cynthia and I have switched up our Friday Five topic format – check it out here. This week is the third week and so we’re talking about our favorite ____ fill in the blank! 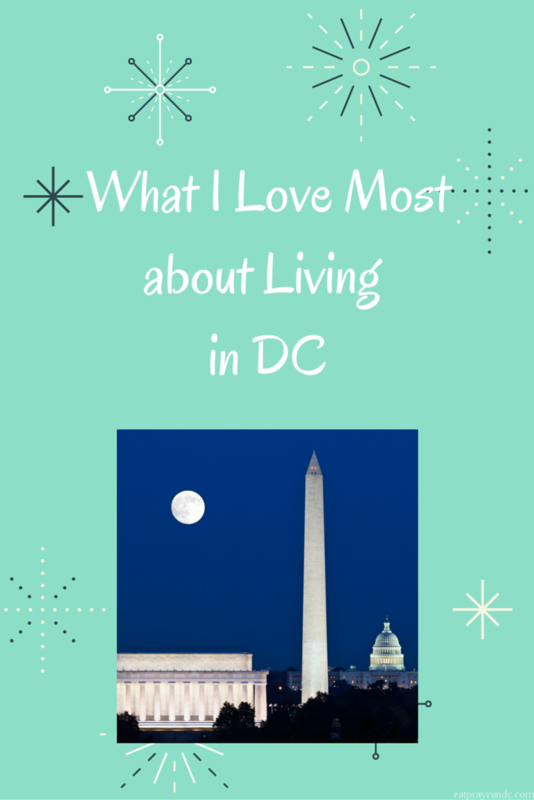 This week I was thinking about how much I love living in Washington DC and so I thought I’d share my five favorite things about living in the Nation’s Capital. First of all, I want to clarify. Lots of people say they live in DC but they actually live in say…Falls Church. Now Falls Church is a nice place. I’ve been and it’s quite cute. But…as you can see on the map below, Falls Church (or Bethesda or even Arlington) is NOT Washington DC. I know people say they live in DC because they worry people won’t recognize their suburban town right outside of DC and I get that. But know that when I talk about living in Washington DC, I actually live in Washington DC. Amazing things happen here everyday. I will never tire of having the ability to literally walk to the Capitol, the Supreme Court, the Library of Congress and so much more. It’s an incredible thing to be in a place where history is made. For better or worse, I love being in a place where important things happen. So much free fun! All the Smithsonian museums are FREE. Visiting all the amazing National Monuments is FREE. People travel from across the world to see all the things that are in my own backyard. I don’t take that for granted. I mentioned the amazing things that happen everyday. Well, I’m really fortunate because sometimes I get to actually see some of those amazing things with my own two eyes. I don’t think I mentioned this on the blog, but I had a chance to go to one of the White House Holiday Parties last month and it was just as amazing as you’d imagine. Incredible places to run. And not just the National Mall. 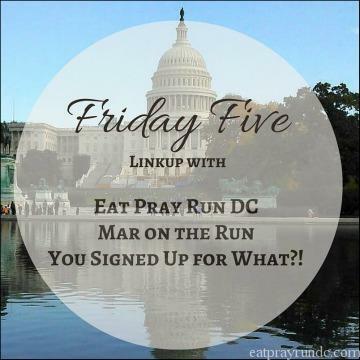 DC is full of interesting routes, trails and scenic places to get the miles in. I’m very appreciate of the diversity in running routes that we have here! Excellent restaurants. I like to eat. A lot. Having great restaurants is something that is important to me and I appreciate that DC has no shortage of awesome restaurants to try out. A couple places I’ve been to lately that have been delicious: Bourbon Steak – went here for birthday dinner with the hubs and my parents. It was incredible. Too fancy for everyday but so yummy! I’ve been super obsessed with the tomato soup at Ted’s Bulletin lately. It’s excellent and I am still trying to replicate it at home. No success yet, so I just keep going back. What about your city makes you excited to live there? Oh, I know. But it currently is NOT (and hasn’t been for quite awhile) a part of the District of Columbia 🙂 LOL at DC not needing that much land! 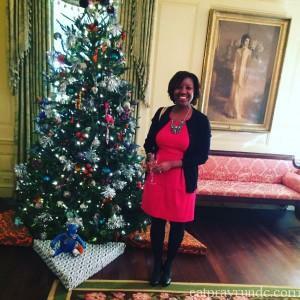 Yessss nice primer/intro to your post 🙂 I remember my friends and I were in FL and someone said “oh yeah I’m from DC too….Leesburg” You nailed all the reasons why I love living in the city – plus friends are so close by! Another perk… seeing a Presidential or VIP motorcade at least 1/month…no big deal haha. I must try the tomato soup! OMG let’s go one morning post run group! It’s soo good! I love DC so much. The food is really incredible and you can get just about anything you could ever want. I’ve spent most of my adult life moving from place to place and right now I live in Manhattan, Kansas (not to be confused with Manhattan, New York). It is a small town out in the middle of Kansas… and there isn’t a whole lot to love. Although, it is almost always sunny here. Even on cold days, the sun still manages to come up… which makes running a lot nicer. Washington is on my bucket list of places to visit in the US! However, given the current (abysmal) state of the Canadian dollar, I probably won’t be heading there in the near future. But your post has whetted my appetite even further! Great! A typo. Damn iPhone! It’s so cool that you live in DC! Loved going to the museums when I visited! Would love to do another race there! Oh yeah, DC is great! Depending on where I am is how I explain where I live. 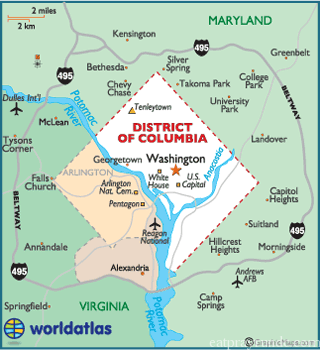 In this area I can say “Montgomery County” or even the specific place I live, but when traveling it’s better to say Washington, DC. I work downtown so I’m more connected to the city than a lot of people out in the suburbs where I live, but I still live off the map that you posted! I love cities ! I don’t live IN Paris, but less than a mile from the city line… but its technically the suburbs. I prefer it that way now that I am older, but I still get to take advantage of all the wonderful things Paris has to offer…. I never get tired of seeing the Eiffel tower. DC really is a fantastic place to live for so many of the reasons you mentioned and probably plenty more. The Smithsonian museums are wonderful and hello free! I’;m jealous of all the running routes you can plan through so many historic places! I live in a smallish place, but having the beach biking distance is pretty sweet. DC is definitely somewhere I would like to live once I get my career up and going. All of your reasons are reasons why I’d love to live there. There is always something to do. I totally fell in love the place when I visited throughout college! I am loving the variety of the new format and your post makes me want to come to DC right away 🙂 Have a great weekend! I love that you are talking about this because I’m seriously thinking of visiting this year with my kiddo and am brainstorming a plan!! Thank you for hosting another great Friday Five! I think that I would live at the Smithsonian if I lived in DC. One of my best friends lives by the National Cathedral. I seriously need to visit her! I’m a bit of a city snob, and one of my pet peeves is when people who live an hour away in the suburbs say they live in the city. Maybe they don’t mean to be inaccurate, but still! I have definitely appreciated the free attractions when I’ve visited DC! I think a lot of people say they live in a certain city because many people won’t know the suburb. I live in a suburb of Dallas, but I don’t know if people outside of DFW will know the suburb. I really don’t know if Dallas has anything big in the city limits. It seems a lot of things people want to see are in other places. I say my sister use to live in DC but actually I think she lived in Alexandria ( I think). I would love to live there too! I loved living in Laurel that one year for all those reasons (except the running, since I wasn’t a runner then. I don’t really like where we live right now, but I like that my husband has a job and we have a warm home. The summers are much nicer than they were in TX & most of the time there’s almost no mosquitoes! I’ve been to DC several times for races and to visit and it’s such a lovely place. I can see why you like it so much! Personally, it’s a bit overwhelming for me but I really enjoy visiting. What I love is that while we have the city my neighborhood feels like an actual neighborhood, which is awesome. Best of both worlds! Yet even more reasons for me to come down and visit. Really I have no excuse with Baltimore being so close! You know my city gets the worst rap, but there are some good things about it too…downtown can be pretty darn fun! And we have good races around here! It looks like we had similar thoughts about favorites this week 🙂 I’m planning on trying Ted’s Bulletin for the first time this weekend and I’m looking forward to it. I LOVE DC! We always enjoy ourselves when we visit and I can’t wait to go in the Spring when it’s warm to walk the mall with Baby K! You have some awesome places to run as well..lucky! I love DC, you know this. 🙂 I can’t wait to come visit my aunt again so I can run all the places and eat all the food. YES! I heart living in D.C. so so much. I live right by Eastern Market and love perusing it on weekends, checking out local coffee shops, restaurants, and of course I think we have the best running scene! Running down East Capitol Street is one of my faves, I love looking at the gorgeous row houses. And giant yes to Ted’s! So fun, I haven’t checked out H Street in a while and I know there’s so many great restaurants/bars! Right now my schedule has me running Tues-Thursday mornings (Wednesday are speed days that I typically do a treadmill). Tuesdays and Sundays are my easier runs, and I’m up and out the door by 6:00 am but can drag myself out earlier if you run earlier. And then of course Saturdays I head to the Mt. Vernon trail. Let me know and hopefully we can work something out! I do Sunday am easy runs and would love to run together one week! I have church so I usually run at about 7, so I can be done by 8ish. Would that work? I’m running in VA this Sunday but maybe next week? Next Sunday works! Just shoot me an email–jennifermace0@gmail.com–so we can work something out! I LOVE the Smithsonian! Y’all have so many cool things to do, Courtney; I’m always so jealous! 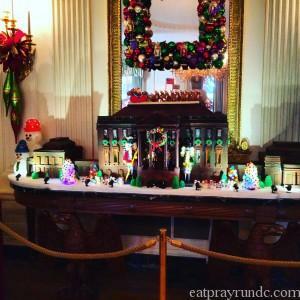 I love seeing your pics, though, especially when you visited the White House at Christmas!! I love that DC is only about 3 hours away from where I live–makes for a great weekend escape from Hampton Roads! I just don’t take advantage of all there is to do in DC, and how long have I been saying I’m going to come join you for a run? There’s so many great things about DC. I do miss actually living in the city, which I did when I was in college, and having the convenience of the Smithsonian right at my doorstep. Even though I’m now across the river, one of the things I continue to like about still living in this area is that when it comes to running there are so many great options in our area. From the vast number of trails to the array of races that there are to run, there’s no reason why any runner could ever claim that they’re bored around here. I would love to visit the capitol sometime! Sadly I’ve never gone! You seem to have beautiful running routes! I love the community in our small town and it is in a beautiful location! I love my Pisgah Forest trails here in western NC! But, DC is on my bucket list! One of these days I’m going to have enough funds saved up to come visit DC and run! I live in Chicago and I understand about people in the surrounding area saying they are from your city-the suburbs are nice but its not the same thing. I love running in Chicago-the lakefront path, the parks, and just in my neighborhood. I also love being able to walk or take the CTA most places I want to go. DC is one of my favorite cities. I would love running there. The monuments are just gorgeous at night. There’s a Ted’s Bulletin near me and I cannot wait to go try it. One article I read rated it one of the best breakfasts in the US. Oh, I am SOOOO jealous!!! I live in small college town Iowa, and I would be in heaven to have daily access to all the sights and sounds of DC. I’m an art geek, so the monuments and city architecture would have me in awe 😉 Have you ever climbed the Washington Monument? Every time I’ve been there, I’ve not had the time to wait in line…so that is on my bucket list. DC is fabulous! I love visiting there & have had some wonderful times with my family visiting all of the amazing museums & eating at the fabulous restaurants!! I LOVE, LOVE, LOVE, DC too. I’ve been there a number of times and feel like like I lived there in a previous life. Oh, and yes I love how the museums there are free. yay I love these things too! I am still discovering new beautiful amazing running places right in our tiny district! THANK you for this. I started following a "DC Blogger" a few months ago, and then realized that not only does she not live in DC, but ALL of her posts are about things to do and see out in Ashburn and Tyson's. I don't have a car so those areas are completely accessible to me! Even when I lived in Crystal City, I worked in DC and spent all of my time there…plus, Crystal City, is just a hop over!